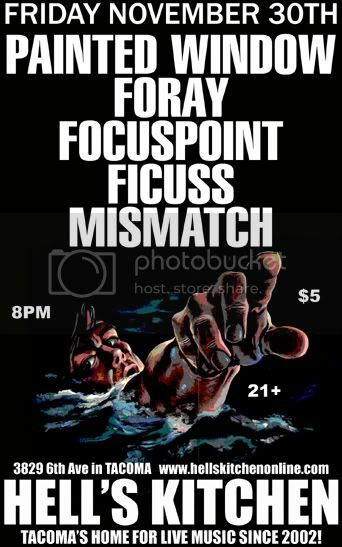 focuspoint show tonight (Friday) at Hell's Kitchen in Tacoma! Yes, you can order your American Apparel focuspoint shirt at the show AND get pre-sale tickets for the January High Dive show. Gosh. $20 for both, which is SWEET because the shirts will first be available for pickup at the High Dive show. How nice.